Implementing the category management principles will help companies place their management strategies at the heart of their overall growth strategy. Let’s take a look at a few basic principles that govern business growth across industries. A rise in tangible luxury offerings in the automotive industry, increasing disposable income of the consumers, and shifting consumer preference from sedan to hatchback is propelling the demand for luxury cars. The luxury cars market is also experiencing additional prospects across a wider range of geographies, reaching both developing and emerging markets. 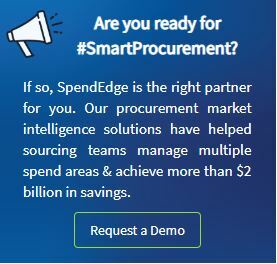 SpendEdge’s procurement market intelligence solutions assist industries in methodically monitoring the supply market settings and understand category management process and principles.